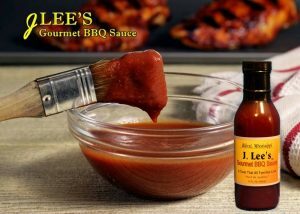 And something else you should know … J. Lee’s BBQ Sauces were given the prestigious honor of being included as a Mississippi Made product for the biggest night in movies – the annual Oscar’s award ceremony “swag bags” where only the best of the best are spotlighted. 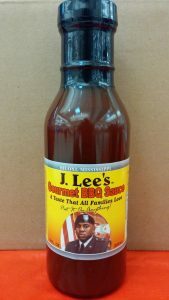 Discover what so many Mississippians already know … J.Lee’s Gourmet BBQ Sauce is the real deal! We are proud to feature this family owned and operated business on our Made in Mississippi page. Click through to their website to learn more and to place your order! A personalized collar and leash not only shows how much you care, it’s a good safety precaution. Dogs and cats, much like our children, can be rough on their accessories. It’s a good idea to replace them every couple of years, and since you’re getting them a new collar and leash anyway, why not have your pet look their stylish best?? 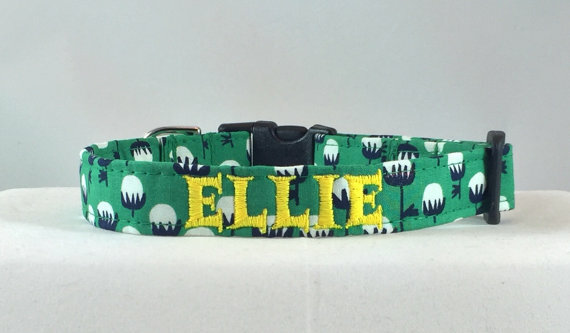 We Bet Ellie Looks Great in This Collar! 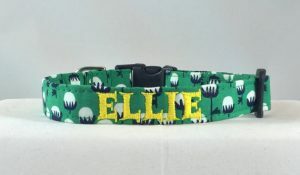 Stacey has been blessed with a talent for sewing and monogramming – check out the vibrant, colorful examples at her Etsy store … your pet will love them! 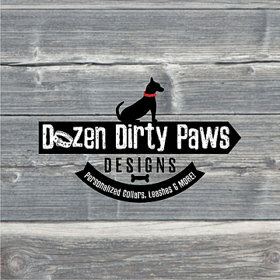 If your dog or cat needs a collar or leash upgrade, Dozen Dirty Paws will make it happen. We love seeing all the bright, sparkling designs which are sure to make your pet beam with pride … click through and take a look! Create a custom style for your pet with a handmade collar or leash from Dozen Dirty Paws Designs – click through to Stacey’s Etsy shop to see her design work and order your best friend’s new favorite collar and leash. Made in Mississippi! The menu at the bakery isn’t large … they scratch bake seven different varieties of cookies and in addition to selling them locally, they ship them across the country. The bakery has been showcased in national publications like Taste of the South and with good reason … the cookies made here are one of a kind! Chucklet & Honey uses all natural ingredients (the good stuff, like butter, eggs, peanut butter, etc.) to make hefty two ounce cookies that’ll have you reaching for the cold milk. Pecan Sandies, Double Chucklet Hazelnut, Peanut Butter Honey Molasses, and Maple Oatmeal Raisin are some of the varieties awaiting you at their website. While you’re there, check out the Red Velvet White Chocolate Cookies (color us intrigued! ), made with white chocolate morsels and dusted with powdered sugar to create a soft chewy center and a light crispy outside. 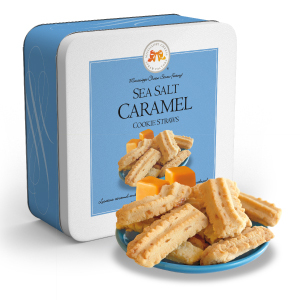 Cookies are available for purchase in various sized boxes and packages, and variety packs are also available. 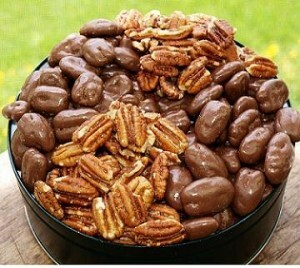 Delta Pecan, one of the state’s leading producers, is based in Indianola, a medium sized town northwest of Jackson. Indianola is in the center of the Mississippi Delta in the central west part of the state, not far from the Arkansas border. The Caramel Factory: This Batesville, MS company produces a product that everyone loves but very few attempt to make, because, well, it’s really hard to get it just right! 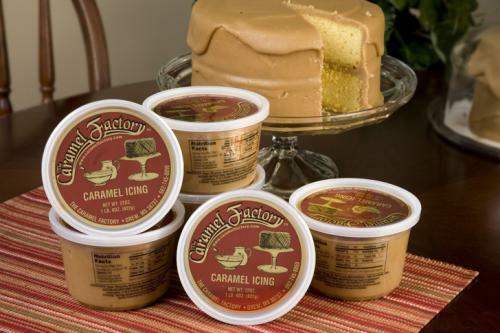 Taste the goodness of The Magnolia State from The Caramel Factory! Flavors of snaps available run the gamut and include Key Lime, Butterscotch, Lemon, Peppermint, Raspberry, and more. They’re so flavorful they’ve been featured on the Food Network’s “Unwrapped” program in addition to winning multiple awards at specialty food events. A wonderful gift idea is their Snap Pack, which contains four boxes of different flavors packed in an attractive carrying case. Individual flavors are available in 4 ounce boxes on up to 16 ounce cans, and believe me, you’ll want to order the bigger size! 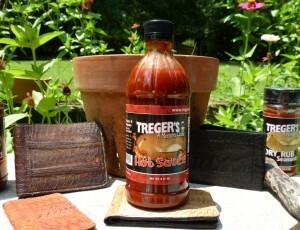 We became acquainted with Treger’s sauces on our most recent visit to Memphis. We absolutely love their signature Hot Sauce, which goes well on … well, absolutely anything! It’s got a tangy blend of four different peppers, one of which is habanero, and it’s full of flavor and hearty. We love it with any dish featuring rice, especially shrimp and rice dishes, but it’s equally good on down home foods like homemade macaroni & cheese. Simply put, a hot sauce that isn’t all burn your mouth heat – it’s flavor first! A Memphis Classic – Made in Mississippi! 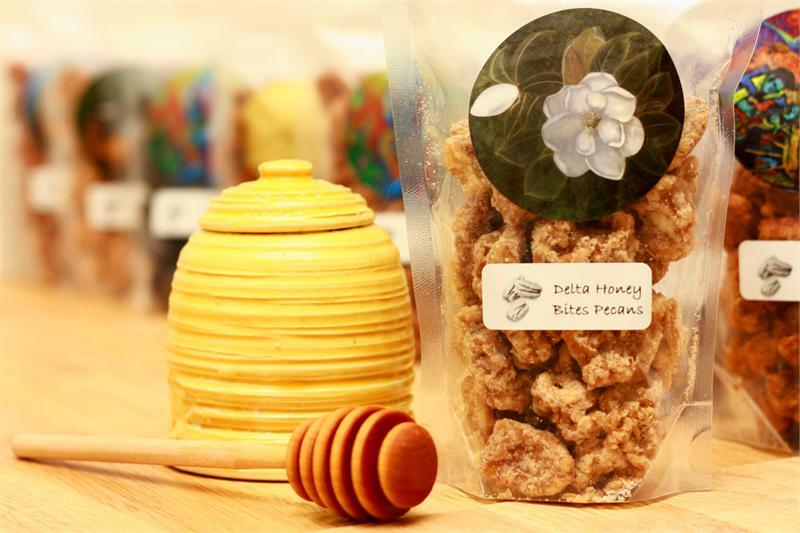 At their on site locations in the state as well as at their website, you can enjoy the fruits (nuts, actually) of the company’s labors with natural and flavored pecans, pies, brittle, candies, honey butters, and preserves. 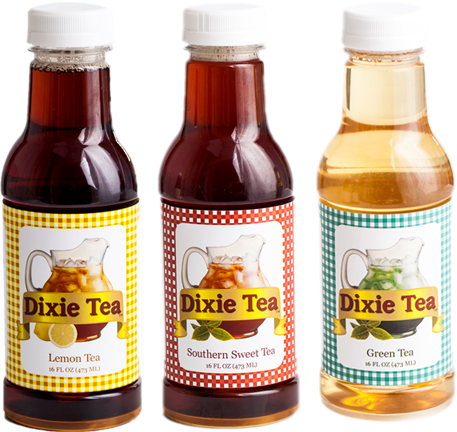 Other distinctly southern specialties are available as well, like mayhaw and muscadine jelly. Visit the Bass Pecan website to see all their delicious products and to place your order! Appreciate The Goodness from Mississippi! Reggie and his wife Sheila are now proud owners of KYVAN Soul Food Selections, named after their two children Kyla & Kavan. Their Magnolia State based business is producing a full line of sauces, seasonings, jams, and salsas, all designed to bring a little dose of love and soul to your table! Inspired by the down home recipes of his youth and encouraged by his NFL peers, Reggie has taken his talents to another level. 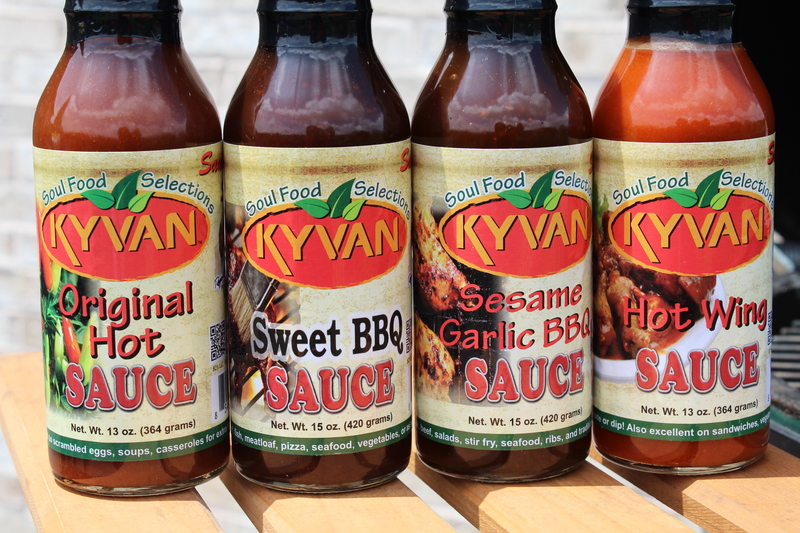 At the KYVAN website and a growing legion of retailers, you’ll find the favorite flavors of Mississippi like Sweet Barbecue Sauce, Jambalaya Sauce, Original Hot Sauce, and Honey Apple Salsa just to name a few. Whether you like to tailgate before the game or simply sit down and enjoy a special meal with your family, they’ve got the goodness ready to go for you! When we learned of the Kelly’s company, we were really impressed with the variety of the product line. Chicken Seasoning, Steak & Burger Seasoning, and Dry BBQ Rub will help you get your “Q” on, and don’t miss their special Honey Apple Butter – a real treat for breakfast or any time of day! 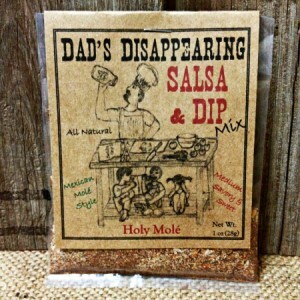 Dad’s Disappearing Salsa: Truly a family owned and operated small business, this Terry, MS based company is proudly run by Steven and Jenny Mena and their eight children (yes, eight … from teens to toddlers!). Steven is a whiz in the kitchen and developed a salsa recipe that was a hit at local farmers markets. Then, inspiration arrived in an idea to make a dry mix instead of jarring hundreds of salsa batches! 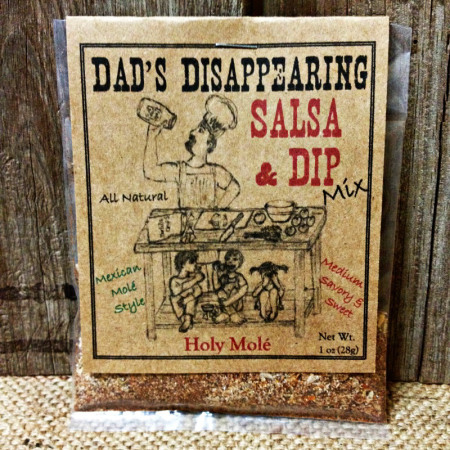 Now, Dad’s Disappearing Salsa is available nationwide in a convenient small package, ready to blend with diced tomatoes and vinegar or lemon juice to make fresh salsa, or with sour cream to create a tasty party dip. These salsa and dip mixes are available at their website in two sizes and several different heat levels, from mild to medium to hot. There’s a Smoky Chipotle variety as well as a Bacon flavored mix. They’re all natural with no artificial ingredients and best of all, it only takes 60 seconds to prepare! We’re big fans of America’s small businesses, especially family owned and operated ones like Dad’s Disappearing Salsa. Click through to their website to learn more and order a few packages for your next gathering! Direct from the heart of The Magnolia State! 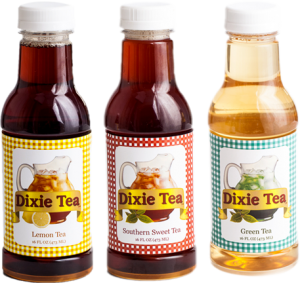 Dixie Tea’s distribution is expanding all across the state and surrounding states as well. If you live in the area, check their “Locations” tab to see where you can quench your thirst in person! For a real Mississippi treat, order some of their Sweet Potato Fudge. Did you know The Magnolia State is one of the country’s biggest producers of sweet potatoes? It’s true … so why not get creative and make a sweet potato flavored fudge? And that’s just what Fudge Etcetera did! 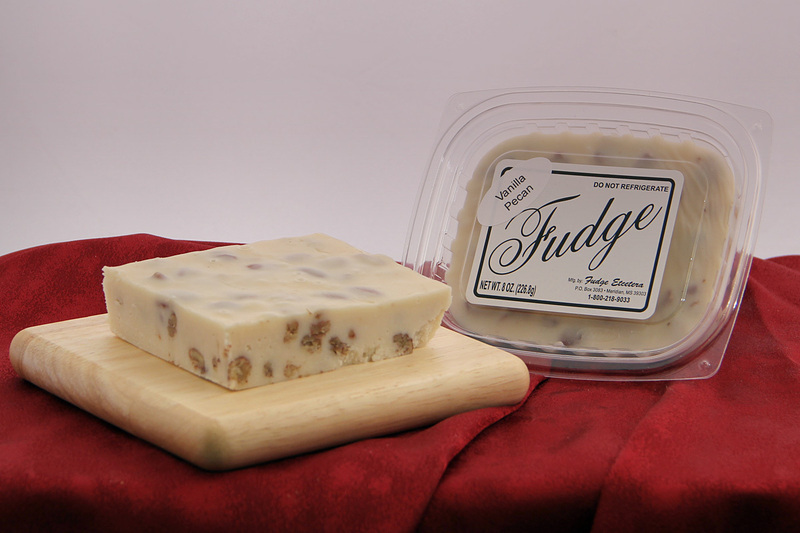 At their website, you’ll find a calendar of local events where you can sample and buy their fudge in person, and you can also order directly online. A sweet gift that everyone will love! 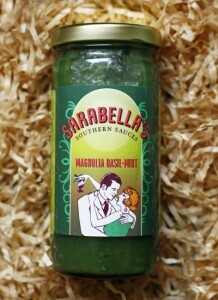 Sarabella’s Southern Sauces: “Sarabella” is Sara Hays, a Southern Belle who draws upon the recipes of her mother to create a line of sweet, savory chutneys like her flagship product, Sarabella’s Wicked Sweet Chutney. It’s one of three varieties her company creates, including Sassy Raspberry Chutney and a delightful Magnolia Basil – Mint. If you’re unfamiliar with chutney, it’s similar to a jam or spread that’s designed to complement just about any main course. 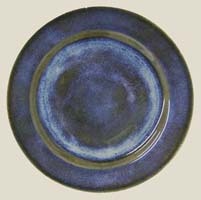 It’s also often served as part of an appetizer platter or even as a glaze. You can also enjoy it right out of the jar! Sarabella’s chutneys are a mix of unique and natural ingredients that can be used in many ways. Her Wicked Sweet Chutney is a combination of pineapple, mustard, and a touch of horseradish, while the Magnolia Basil – Mint is a mixture of premium mint, pineapple, basil, and horseradish. There are some great recipes on her website, but just to give you an idea, think pork tenderloin with Wicked Sweet, lamb with Magnolia Basil – Mint, and roast chicken with Sassy Raspberry! Just let your culinary inspirations roll! You’ll find Sara at many food and gift shows in the south and beyond (there’s a schedule on her site), or you can order directly at her online store. A great taste of The Magnolia State! The folks in Natchez know good food, so it’s not surprising to see small specialty gourmet food businesses springing up here. One such company is D’Evereux Foods, a family operated gourmet sauce business. 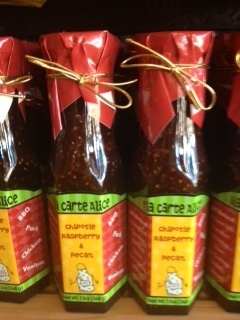 D’evereux makes two varieties of sauce, a Pepper Sauce Rouge and a Pepper Sauce Fermente. The former is a bold red pepper sauce made with a special blend of spices – it’ll turn the heat up on any rice dish, catfish po boy, stews and soups. The Fermente sauce offers a bit less heat, but a more pronounced seasoning bite. If you’re cooking Cajun style, either are the ideal complement! 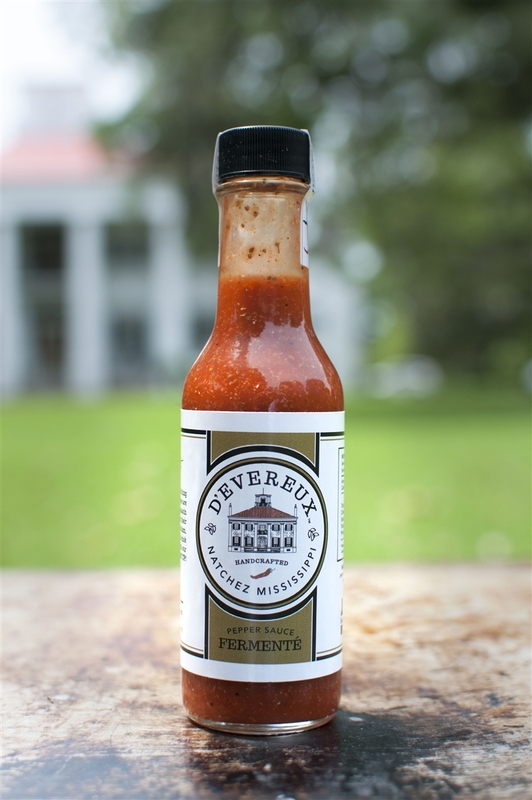 You can order each of the D’Evereux sauces directly at their website – a tasty gift with personality from the beautiful town of Natchez! Now, we really like unique multi dimensional sauces, but this stuff is really special. You need to try it! 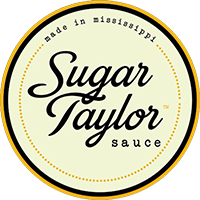 Sugar Taylor Sauce is a mustard vinegar based sauce that’s sweetened with local Mississippi honey. It’s got a little bit of a tang at the end, but it’s not hot per se. On their website, it’s described as combination of sweet sour sauce and honey mustard, which is a pretty apt description but really doesn’t do it justice! You can also compare it to a remoulade sauce but that doesn’t quite cover it either. The best way to describe Sugar Taylor Sauce is it’s a category unto itself! When you visit the Sugar Taylor website, soak up some of the interesting recipes they’ve got listed – betcha they’ll get your taste buds going! You can find this unique sauce / condiment at specialty stores in Mississippi and some surrounding states (locations are listed on their “Buy The Sauce” page), or you can order for yourself via their online store. Unless of course you’ve got a generous friend who’ll bring you some back from a business trip! Visit the Hi Yall website to see their entire selection of products. You can order directly online, both for yourself and as a special gift! Made in and inspired by Mississippi! 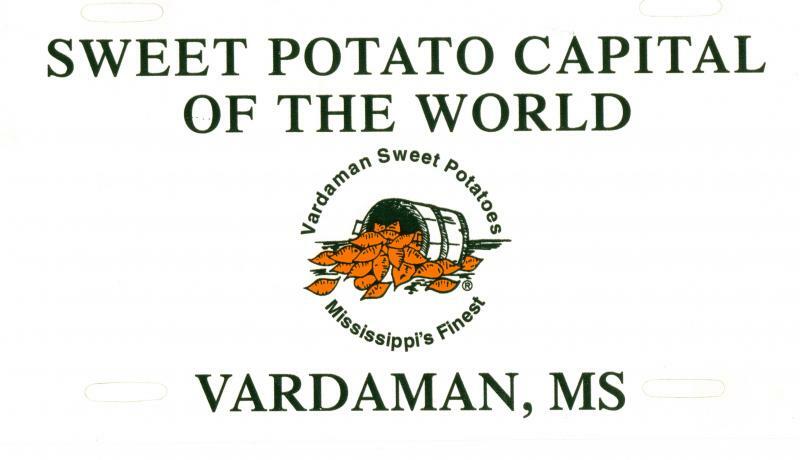 Sweet Potato Sweets: Vardaman is a small town of just over 1,000 residents in the north central part of the state. 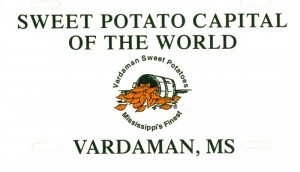 The town’s claim to fame is that it’s known as The Sweet Potato Capital of the World. The National Sweet Potato Festival is held here each November and some of the best sweet potatoes found anywhere are grown here by area farmers. Sweet potatoes are extremely good for you … they are excellent sources of both Vitamin A and C and are rich in beta carotene and many other minerals. Be sure to check out the “Party Favorites” section of their website. You’ll never think of the good ‘ol sweet potato in the same way again! Here you’ll find muffins, fudge, cheese straws, chocolate bars, quiche, and cookies all made with the humble sweet potato. One of their more unique products is the Sausage Ball – it’s made with a combination of sweet potatoes, farm fresh sausage, cheese, and biscuit mix. Now is that a southern style appetizer or what?? You can have any of these products shipped to you or your gift recipient directly via the Sweet Potato Sweets website. Unique and tasty gifts from The Sweet Potato Capital of the World! Located in the western part of the state not far from the Arkansas border, Leland is in an area known for Mississippi Delta cotton fields. Pictured is one of the many specialty products the company creates, a foot rest which looks like a real bale of cotton. 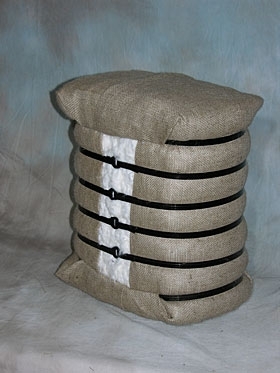 Tote bags, key chains, burlap pillows, ornaments, and wreaths are just a few of the unique items you’ll find at their website. 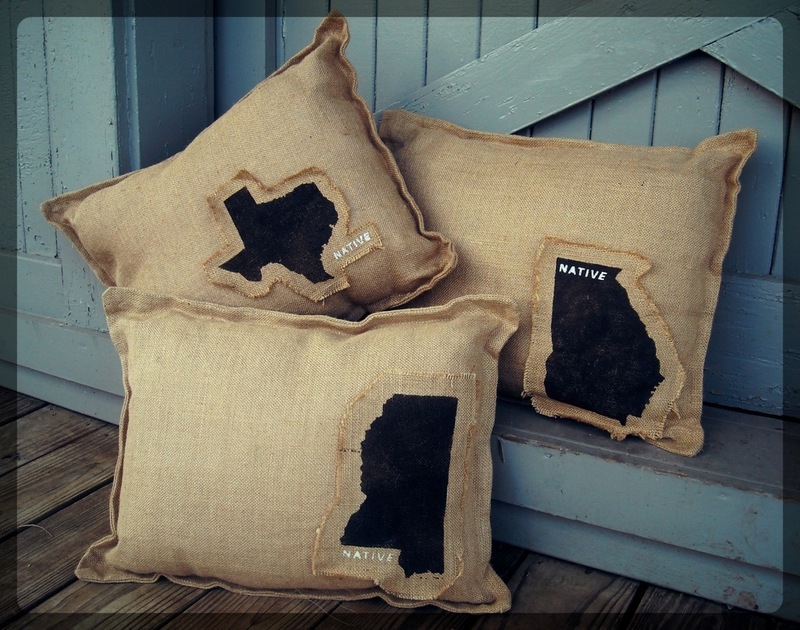 Wonderful handmade gifts from the heart of The Magnolia State! 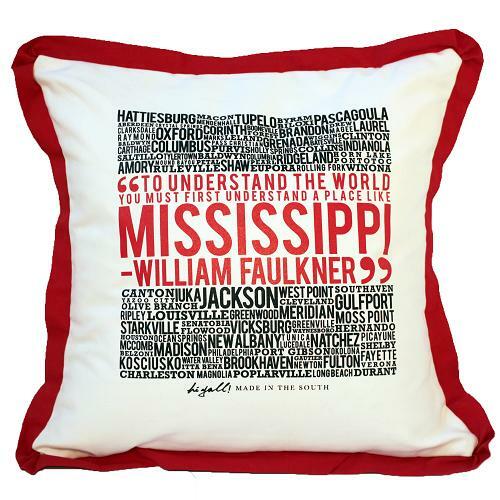 One of the best Mississippi themed gift items you’ll find! 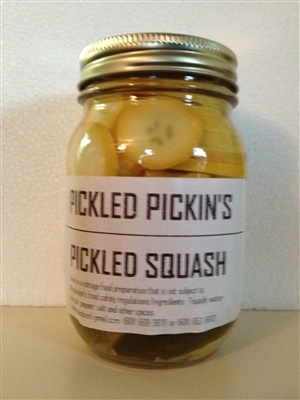 Starting with vegetables from their own garden and now local farmers as well, Pickled Pickin’s is creating quite a name for themselves in The Magnolia State and beyond. In addition to sweet and dill pickles, they’re also pickling and jarring squash, dilly beans, okra, asparagus, and tomatoes. 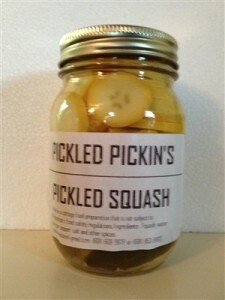 Have you ever tried pickled squash? In a word, it’s fantastic! Real southern flavor fresh from the garden to you! 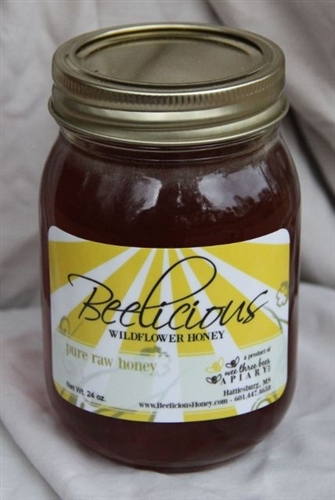 Beelicious Honey produces wildflower honey, varietal honey, natural skin care products, beeswax, and more. If you think all honey tastes the same, you’re in for a sensory treat! The taste of honey is dictated by where the bees pollinate, so honey produced in one part of the country will offer a different flavor palette than honey produced elsewhere. You can purchase any of the Beelicious honey products directly at their website. Gift baskets are also available … enjoy the unique flavor of The Magnolia State! 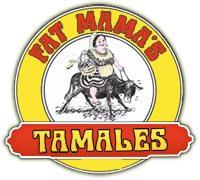 Fat Mama’s sells their many flavors of tamales online and ships them anywhere in the country. They go very well with their Knock You Naked Margarita Mix, also sold at their online store. Equally as good are Fat Mama’s Fire and Ice Pickles – they’re sweet pickles with a spicy kick and served cold. Order any of Fat Mama’s products as a Mississippi themed gift or for your own enjoyment. And if you’re ever near Natchez … stop for an overnight visit! A very cool town! Subscriptions include six bi-monthly issues along with three special annual special interest issues. 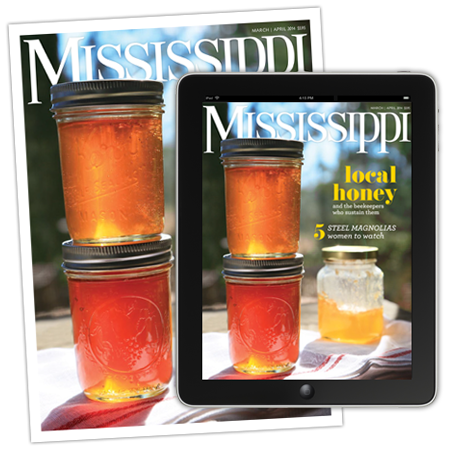 Covering the entire state, Mississippi Magazine is the best state wide lifestyle publication available. 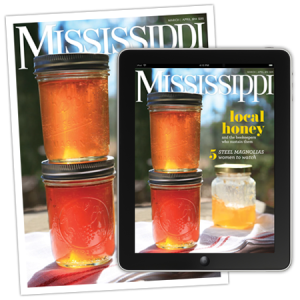 You can subscribe for the print edition or the digital edition, and you or your gift recipient will be kept abreast of all the latest Mississippi events and happenings! 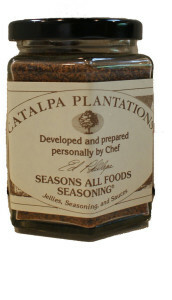 All we really know about Catalpa Plantation is that is carries quite a bit of history, well over 150 years. It was around during the Civil War, damaged during that time, and suffered a large fire near the turn of the 20th century. The company’s best seller is their Fresh Lemongrass Liquid Hand Soap. Lemongrass is a local plant that has a pleasing lemon scent. The soap is ideal for the cook or chef in your life – it removes any aroma of garlic, onions, or seafood from your hands. 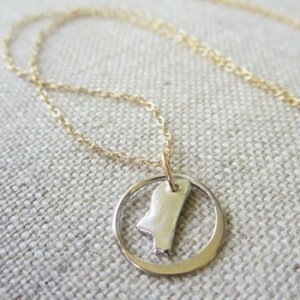 Perfect as a Mississippi gift! Pass Christian Soap Company offers dozens and dozens of wonderful bath, body, and home care products for women and men alike. Gift sets are available as well for one stop shoppers! Also known for their all natural Bloody Mary’s, Ubon’s sauce is a three generation family recipe with a unique taste that nods to both Memphis and Kansas City. You’ll find outstanding barbecue all over Mississippi with various influences … some lean toward North Carolina style while others are more like Memphis or Kansas City or even Texas style. So, let’s just call it Mississippi Style Barbecue so there are no arguments! But no matter how you label it, the fact is it’s really and I do mean REALLY good! 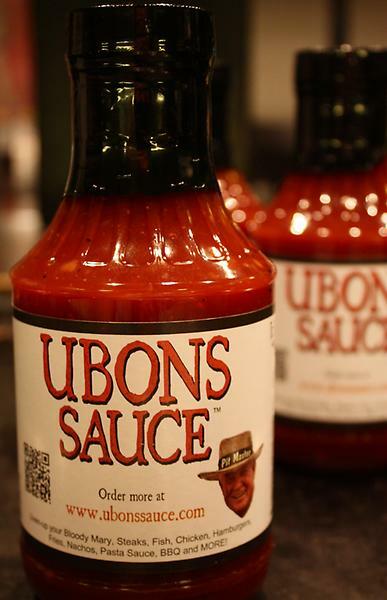 We hope you’re fortunate enough to visit Ubon’s (and the rest of The Magnolia State) some time, but in the meantime you can always order Ubon’s sauce and Bloody Mary mix directly from their online store. The sauce can be purchased in handy 4-Packs and the Bloody Mary mix in 2-Packs or larger quantities … enjoy! 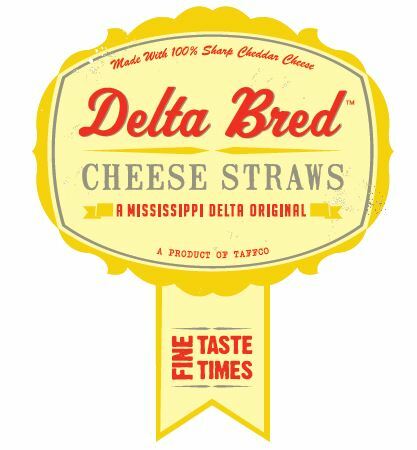 Mississippi Cheese Straw Factory: The Mississippi Cheese Straw Factory has been around since 1991 and is located in historic Yazoo City, located at the edge of the Mississippi Delta, northwest of the state’s capital city, Jackson. Their main claim to fame is their selection of sauces. They’ve been requested for White House barbecues and are often found available on selected grocery store shelves in the southeast. We like their Original Southern Sweet ShedSpred, as well as their Spicy Mustard BBQ Sauce (which we use a lot as a dipping sauce). 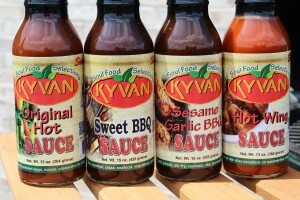 They also have a Spicy Vinegar BBQ Sauce as well as several marinades for both meat and chicken. If you ever get to southern Mississippi, be sure to stop in for outstanding slow cooked barbecue and a really good time! 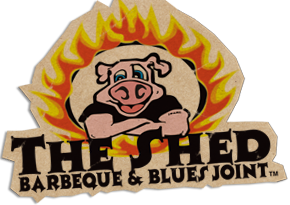 If your travel plans aren’t taking you to the Magnolia State, you can order any of The Shed BBQ sauces online at their website. 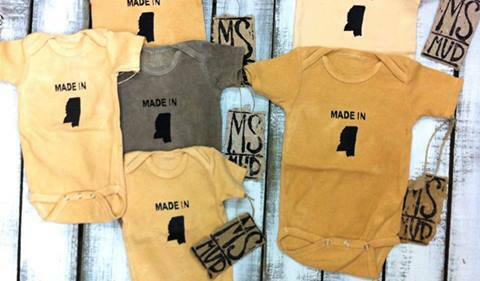 A great Mississippi themed gift is their “Sauce Bundle” containing four of their legendary sauces! 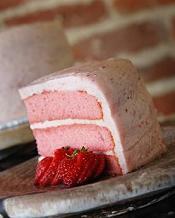 Visit Sugaree’s online and order yourself a taste of the Deep South. 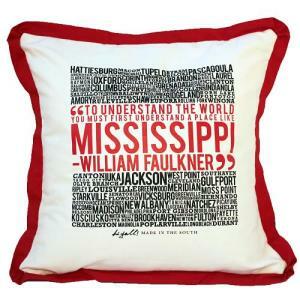 Makes an ideal gift from Mississippi! 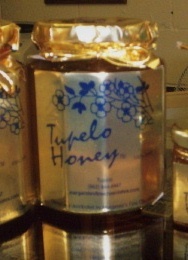 It is one of the most sought after and many say the best honey available and it’s a signature gift from the Magnolia State. One of the best places to buy it mail order is from Margarete’s Fine Chocolates, located right in Tupelo. Liz Henry Jewelry: Liz Henry Jewelry of Brandon, MS was founded by jewelry designers (and sisters) Christi Gardner and Julie Clark. They design and craft piece that are functional, fun, and elegant ..
Show your Magnolia State pride with a fine piece of Liz Henry Jewelry! 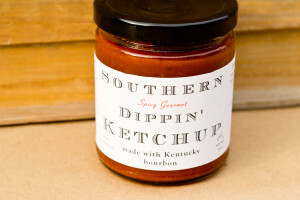 Another Elbow Foods specialty you’ll want to try is their Southern Spicy Gourmet Dippin’ Ketchup. It’s made with a touch of bourbon, honey, garlic, lime, brown sugar, peppers, spices, and more. Great for traditional ketchup uses but also as a dipping sauce for just about anything! You can learn more about Elbow Foods and order their products for you or as a gift at their website … be sure to check out their great recipes too! 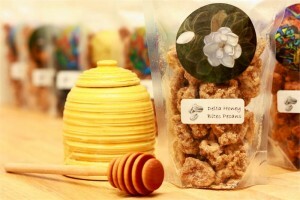 Since 1981, Billie’s Pecans of Crenshaw, MS has been adding their own personal touch to these tasty and healthy nuts. Their specialty is cinnamon spiced pecans, based on an original family recipe which has proved so popular they’ve been shipped all over the country! 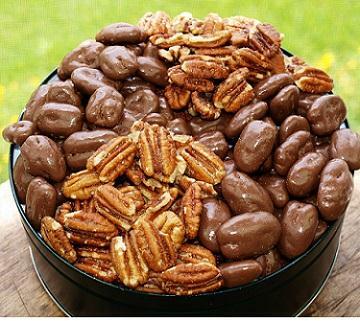 Order yourself a special taste of fresh pecans, and don’t forget to send a special gift from Mississippi to your friends and family! We are particularly fond of one of their glazes which also makes a great appetizer when mixed with cream cheese … it’s their chipotle raspberry pecan glaze, shown here. Ala Carte Alice is an excellent source for unique party dips which are easy to make and flavorful … take a peek at their website as they offer over a dozen different varieties. And while you’re there, don’t forget to look at the cheese ball mixes … a southern appetizer specialty! Hedge Farms offers all sorts of unique candles which you can see at their site, particularly those placed in decorative reusable containers … they make a wonderful home decor accent! 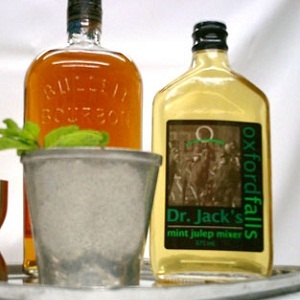 Here’s a great mint julep mix if you’re not inclined to create one from scratch. It’s made by the Oxford Falls Company of Starkville, MS and it makes up one tasty mint julep! 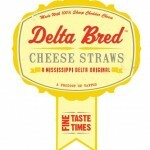 Delta Bred Cheese Straws: This relatively new company from Belzoni, MS makes a southern specialty … cheese straws. They’re a slightly crunchy yet still soft an delicate snack shaped kind of like a small stick. They’re typically baked and they burst with flavor! Grand Old Chess Pie: So what exactly is a chess pie? Well, one way to describe it is this … a chess pie is a cheesecake without the cheese! Let’s explain further … a chess pie is a Southern specialty that’s a mix of eggs, sugar, butter, and a small amount of flour as the filling. Sometimes it’s mixed with fruit and baked, and sometimes with nuts. A chess pie has also been traditionally called a buttermilk pie or a sugar cream pie. You can buy Grand Old Chess Pie mix from this page at Taste of Gourmet … scroll about halfway down. 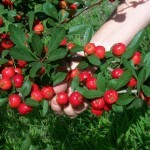 Mayhaw Jelly: Another Mississippi specialty is mayhaw jelly, which is made from the red ripe fruit of the mayhaw tree. These beautiful trees blossom with white blooms in the spring and are commonly found in the southern half of the state. 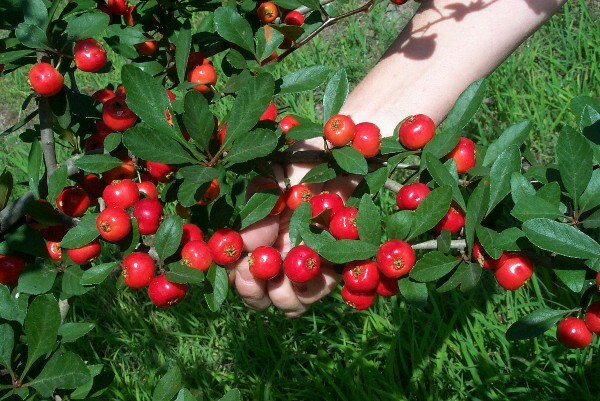 Mayhaws are shaped like a crab apple and are sometimes referred to as the “cranberry of the south”. 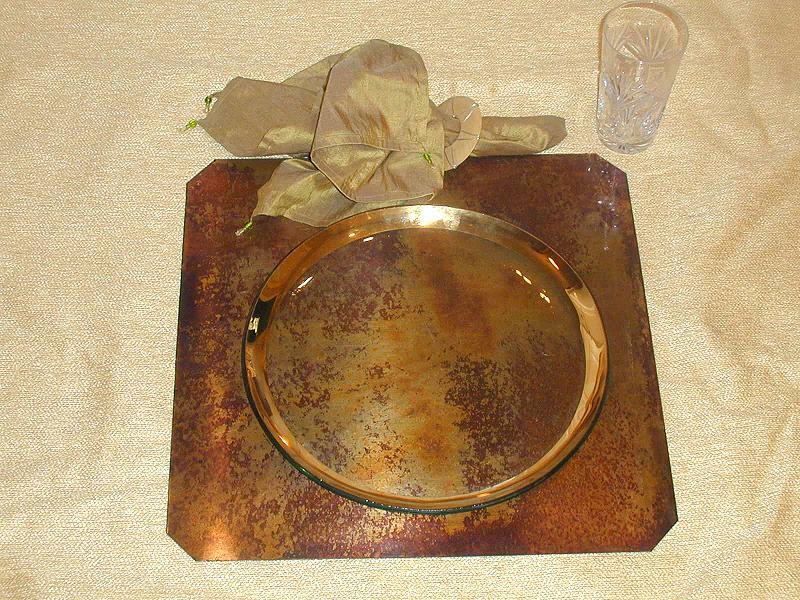 Copperworx: Based in Clinton, MS Copperworx creates decorative copper decorative and functional accessories as well as copper tiles. Pictured is a unique copper table top place mat, which has an easy to clean surface without needing to throw it in your washing machine! Fried Green Tomato Salsa: Fried green tomatoes are definitely a southern specialty, and they’re often used just like traditional tomatoes … like in a salsa! The Big Dixie Company in Mississippi makes a fried green tomato salsa that captures the taste of fried green tomatoes in a versatile way … use it with chips or appetizers or served with traditional Mexican dishes.